NASHVILLE, TENN., June 20, 2018— DMP is excited to announce its ESX TECHVISION Challenge award, now two years in a row. 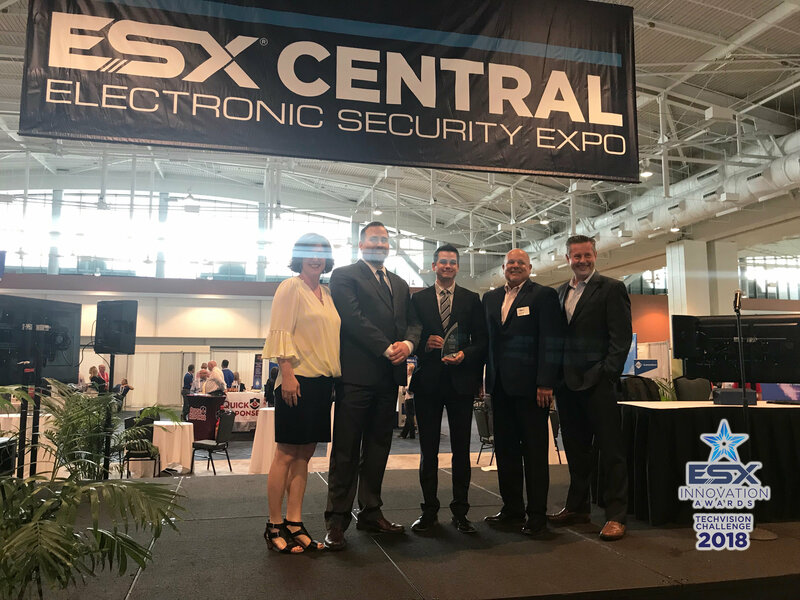 This year’s Best-of-Show Award goes to DMP’s Virtual Keypad Access™ in addition to ESX Innovation Awards in two other categories. In the Installation/Service Tools category is DMP’s Dealer Admin 2.0, and in the Mobile Apps for Consumers category is DMP’s Virtual Keypad™ 6.0. DMP’s Virtual Keypad Access is the natural progression of DMP’s Virtual Keypad app that manages intrusion systems. For users who don’t want to spend the money to have a dedicated server for their access control systems, Virtual Keypad Access provides the flexibility to remotely manage system users, schedules, and profiles, plus control public doors. It also allows users to view and record video. In fact, at its booth during the show, DMP announced the addition of multiple commercial video options, which are coming soon, including Open Eye, Digital Watchdog, Hikvision, I-View Now, and SecureCom video cameras and NVRs. In combination with its other access control features, DMP now has an even more comprehensive platform to offer businesses of all sizes. Because Virtual Keypad Access is maintained via the Cloud, it allows consumers to remotely manage their own systems, or it can be managed for them by their dealers. Either way, the combination of intrusion and access control in one platform makes for a powerful and economic package for security companies and their customers. Also winning judges’ favor as Innovation Award recipients were DMP’s feature-rich mobile app, Virtual Keypad 6.0, and Dealer Admin 2.0, which is an administrative portal giving DMP dealers and their staff easy access to their customers’ information. DMP is a privately held independent manufacturer of innovative intrusion, fire, access control, network and cellular communication products designed, engineered, and manufactured in Springfield, MO using U.S. and global components. DMP is the recognized leader in alarm communication over data networks, with products that are available through professional electronic security companies. For more information, contact Mark Hillenburg at mhillenburg@dmp.com, or visit www.dmp.com.